The Toyota Corolla is the world’s best-selling nameplate ever. What is so fascinating about the Corolla is that two of the largest groups who buy the Corolla are first time new car buyers, and last time new car buyers. That makes marketing to this diverse group a huge challenge for Toyota, but the company takes that task very seriously and has a plan. The old axiom goes something like “You can sell an older man a young man’s car, but you cannot sell a younger man an old man’s car.” Just ask Oldsmobile and Lincoln. In the case of the Corolla, we must amend the “man’s” part to also include women, who buy Corolla in huge numbers. The point is the same though, people shopping for a new car know what they want, and in most cases that is not the same thing that a person different from them in age and taste will want. Corolla breaks all the rules, being a hugely popular model with both older and younger buyers. The new campaign has commercials with beatboxing, battling DJs and hip-hop music. It also highlights many of the new car’s technical features. In case this sounds like it is ignoring the older crowd, who buy a lot of Corolla’s, please refer to paragraph two of this story. However, there is a little bit of a message for those buyers. 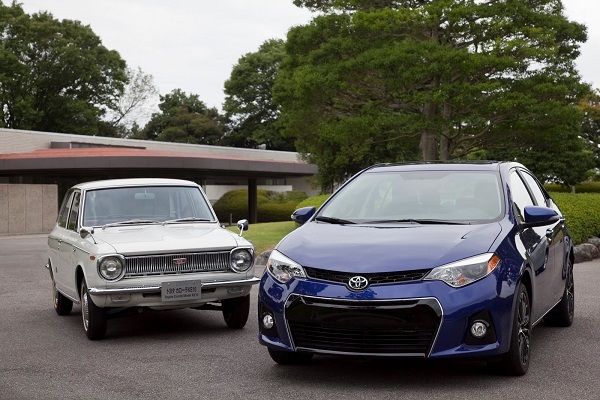 One 60 second broadcast spot shows the Corolla as it evolved since the 1960s. Older buyers will be reminded of their past experiences with 5 decades of song and dance they might recognize. What some people forget is that the Corolla had been a rear-wheel drive car for many years. In fact, it was also a hot-shot street machine in some forms. Toyota’s Managing Officer, Satoshi Ogiso pointed this out recently at a conference about hybrids saying “In fact, I chose to come work for Toyota when I was much younger because of the Corolla GT AE86.” That Corolla had an awful lot in common with the new Scion FR-S sports car. Ride and drives and appearances by the 2014 Corolla will round out the integrated marketing campaign. The Corolla has moved on from its low-volume sports car roots, to the highest possible volume niche in the car world. Keeping it there is the plan and Toyota thinks it has a good one.